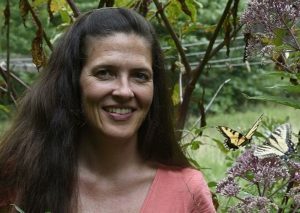 Join local author Nancy Lawson for this fascinating presentation on her book The Humane Gardener! Discover practical ways to put humane gardening philosophies into action by protecting wild nurseries of animals, eliminating unintended hazards, nurturing plants that provide food and shelter, and humanely resolving conflicts with animals in your yard or garden. This event will be held in the Community Room on the second floor of the north building, entrance off the plaza. Additionally, we will be having a “dinner with the author” gathering the same evening at Food Plenty at 5:30pm. Space is limited to the first twelve people, and everyone will be responsible for their own bill; pre-registration required. For questions or to pre-register for one or both events, please email info@clarksvillecommons.com. Peg Doll Workshop Cinnamon Bun Saturday!